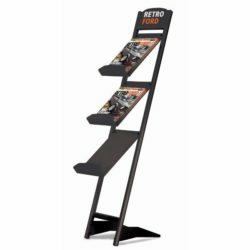 Elegancy, sturdiness, budget- friendly price, all is presented by this great black magazine holder. 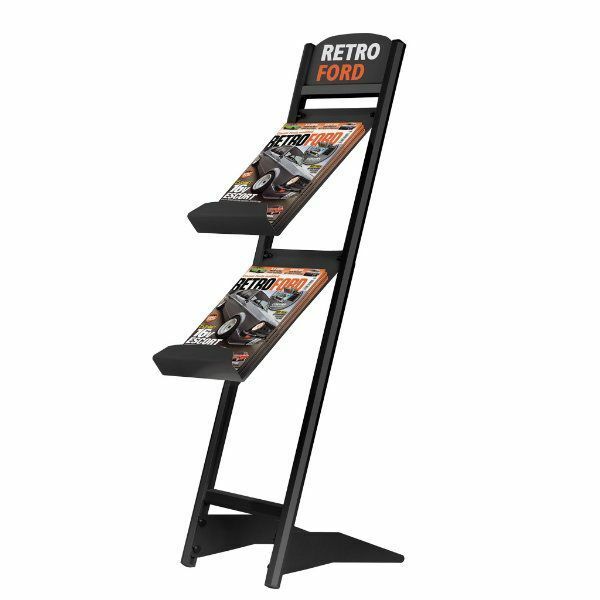 If you are looking for a stylish magazine rack, then you have just found it. Thanks to the lack powder coated feet, it is very stable and suitable to be placed in high traffic areas. Black anodized side poles create a perfect match with the feet. And 0.16″ thic frosted acrylic trays complete the excellence. 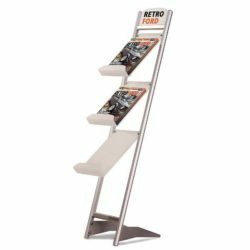 This magazine rack still has something to offer you that it is the acrylic header. Two pieces acrylic header is great opportunity to place a poster stating your company, product or service name. 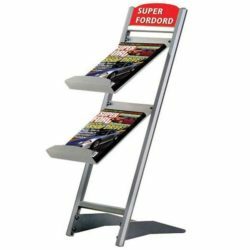 Buy this magazien holder today and save your time for designing the best magazine, leaflet or brochure.